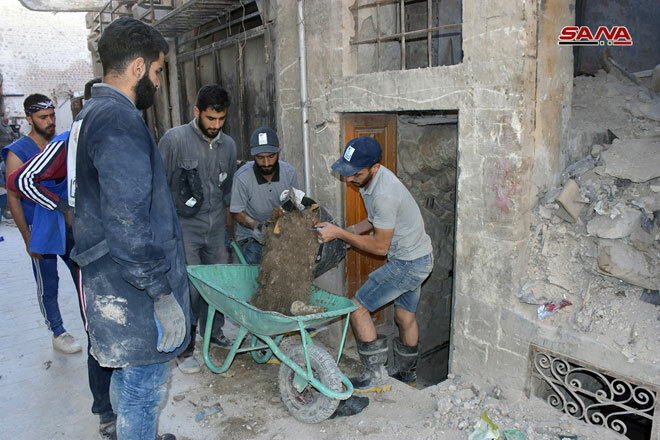 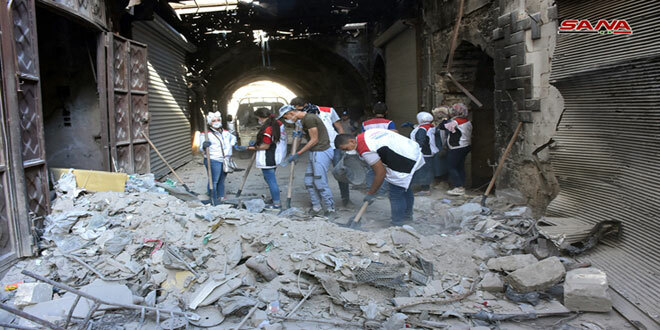 Aleppo, SANA- From the lanes, Souqs (markets) and neighborhoods of the old city of Aleppo, the voluntary SAWA (Together) campaign continues its activities to clear the debris and destruction caused by terrorism, with the participation of about ten thousand volunteers. 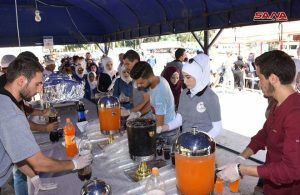 The volunteers are from the National Union of Syrian Students in Aleppo, the Revolutionary Youth Union and many local and civil associations. 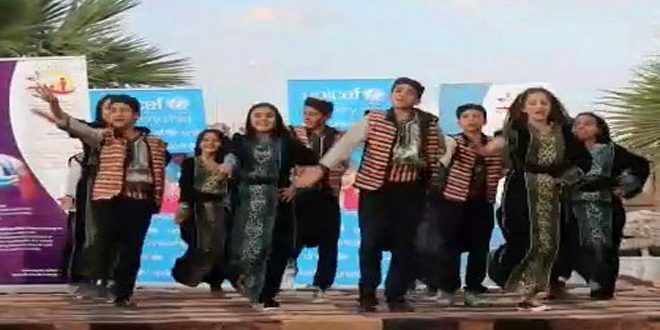 Speaking to SANA, Omar al-Aroub, head of the voluntary work office at the National Union of Syrian Students said that the campaign was launched in Aleppo in mid-August as the third phase of SAWA campaign. The first phase began in Ghouta area in Damascus and the second in al-Zabadani area with the contribution of a group of partners, including the National Union of Syrian Students and the Revolutionary Youth Union, Syria Trust for Development and many others. 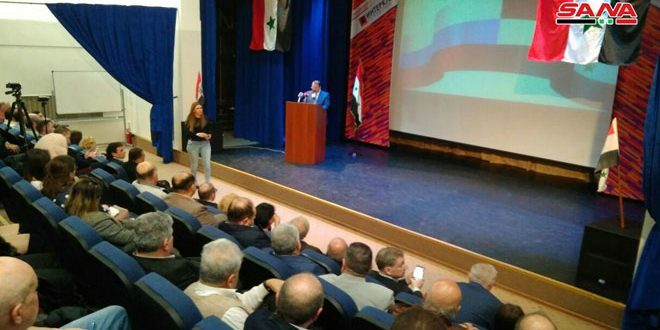 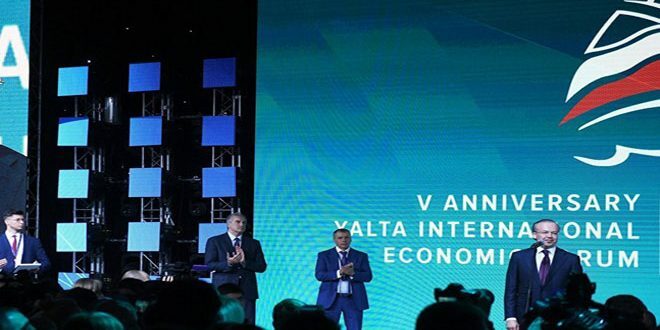 He added that goal of the campaign is to remove the effects of war and terrorism from the affected areas and complete what the Syrian Arab Army had begun in cleansing these neighborhoods of terrorism. The campaign covers Old Aleppo, Aleppo University Wall, parks, schools and main streets, in addition to many archeological sites, and will continue till September 5. 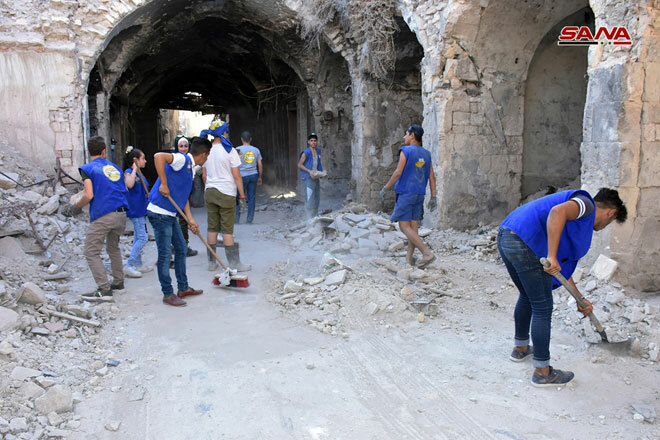 The volunteers involved in the campaign seem determined to wipe out the aftermath of from Aleppo and to contribute to its reconstruction.